Doosan Portable Power Generators - PRIMA Power Systems Inc. 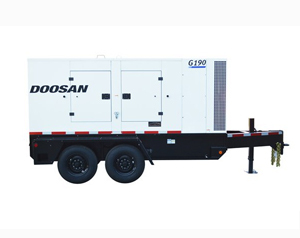 Mobile generators from Doosan Portable Power combine industry leading technology and hardened features to address the needs of construction and rental customers while also serving industrial and emergency backup customers. Doosan Portable Power’s EPA-certified generators are designed for fuel efficiency, reduced sound levels and ease of operation with a user-friendly interface. Rugged enclosures, skids and running gear assemblies assure mobility, while providing the most accessible service points in the market. 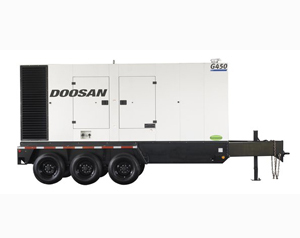 Doosan Portable Power’s mobile generator product line from 25kVA to 125kVA (20 kW to 103 kW) represent machines that are versatile, quiet and hardened to power everything from general tools at a construction site, to oil field pumps and concerts. 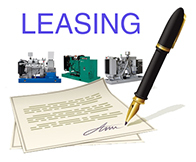 The small (25 kVA to 40 kVA), medium (70 kVA to 125 kVA) generator product line and large generator product line from 145kVA to 570 kVA (115 kW to 456 kW) comes equipped with an extensive list of standard features augmented by several customizable options to give unmatched flexibility and versatility ensuring optimum performance for any application, even in the toughest environments. The G25 features Tier 4 engine technology in a small package with Doosan Portable Power’s legendary rugged enclosure and running gear. Along with user-friendly controls, 24-hour run time, and sound attenuation, the G25 is rental ready for events, emergency backup and construction. Doosan Portable Power’s G70 T4i is one of the most autonomous and maintenance-free T4i generators in the market. The G70 uses a maintenance-free Diesel Oxidation Catalyst intead of a Diesal Particulate Filter – this means that there is NO regeneration. With 39-hours of on-board fuel (at 100% load), the G70 can run with longer service intervals. Doosan Portable Power’s G85 T4i is one of the most autonomous and maintenance-free T4i generators in the market. The G85 uses a maintenance-free Diesel Oxidation Catalyst intead of a Diesal Particulate Filter – this means that there is NO regeneration. With 31-hours of on-board fuel (at 100% load), the G85 can run with longer service intervals. 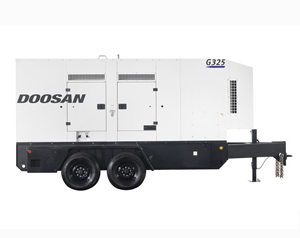 Doosan Portable Power’s G125 T4i is one of the most autonomous and maintenance-free T4i generators in the market. The G125 uses a maintenance-free Diesel Oxidation Catalyst intead of a Diesal Particulate Filter – this means that there is NO regeneration. With 25-hours of on-board fuel (at 100% load), the G125 can run with longer service intervals. 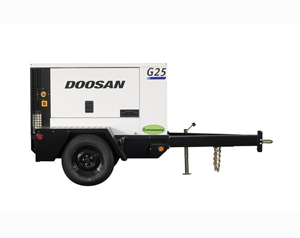 Designed with our Canadian customers in mind, Doosan Portable Power’s G125 T4i is one of the most versatile and maintenance-free T4i generators in the market. The G125 uses a maintenance-free Diesel Oxidation Catalyst intead of a Diesal Particulate Filter – this means that there is NO regeneration. With 25-hours of on-board fuel (at 100% load), the G125 can run with longer service intervals. Doosan Portable Power’s G150 T4F is one of the most coolest and quietest generators in the market. The G150 utilizes a revolutionary enclosure that creates separate compartments for the powertrain and cooling system combined with the industry’s first mass production application of radial cooling fan technology, Doosan Portable Power now delivers the coolest and quietest mobile generators on the market without sacrificing performance or reliability – even at extreme temperatures. With 43-hours of onboard fuel, the G150 T4F is set up for the long-run. Doosan Portable Power’s G190 T4i is one of the most coolest and quietest generators in the market. The G190 utilizes a revolutionary enclosure that creates separate compartments for the powertrain and cooling system combined with the industry’s first mass production application of radial cooling fan technology, Doosan Portable Power now delivers the coolest and quietest mobile generators on the market without sacrificing performance or reliability – even at extreme temperatures. With 30-hours of onboard fuel, the G190 T4i is set up for the long-run. Doosan Portable Power’s G240-T4i is among the coolest and quietest generators in the market. The G240 utilizes a revolutionary enclosure that creates separate compartments for the powertrain and cooling system combined with the industry’s first mass production application of radial cooling fan technology, Doosan Portable Power now delivers the coolest and quietest mobile generators on the market without sacrificing performance or reliability – even at extreme temperatures. With 26-hours of onboard fuel, the G240-T4i is set up for the long-run. Doosan Portable Power’s G325 T4F is one of the most coolest and quietest generators in the market. The G325 utilizes a revolutionary enclosure that creates separate compartments for the powertrain and cooling system combined with the industry’s first mass production application of radial cooling fan technology, Doosan Portable Power now delivers the coolest and quietest mobile generators on the market without sacrificing performance or reliability – even at extreme temperatures. With 25-hours of onboard fuel, the G325 T4F is set up for the long-run. 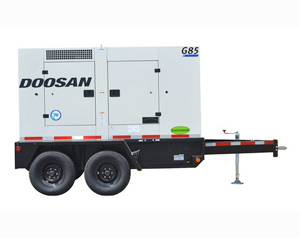 Doosan Portable Power’s G450 Tier-2 generator is known for its reliability, user-friendly controls and ability to provide lots of power in critical applications. The G450’s hardened enclosure protects a Leroy-Somer alternator that provides the G450 with best-in-class motor starting performance. With the ability for the generator to change from 50Hz to 60Hz and nearly 24-hours of onboard fuel, a Cummins Tier-2 engine and rugged running gear, Doosan Portable Power’s G450 will reliably power a variety of projects in the harshest environments. Doosan Portable Power’s G570 Tier-2 generator is known for its reliability, user-friendly controls and ability to provide lots of power in critical applications. The G570’s hardened enclosure protects a Leroy-Somer alternator that provides the G570 with best-in-class motor starting performance. With the ability for the generator to change from 50Hz to 60Hz and 19-hours of onboard fuel, a Cummins Tier-2 engine and rugged running gear, Doosan Portable Power’s G570 will reliably power a variety of projects in the harshest environments.